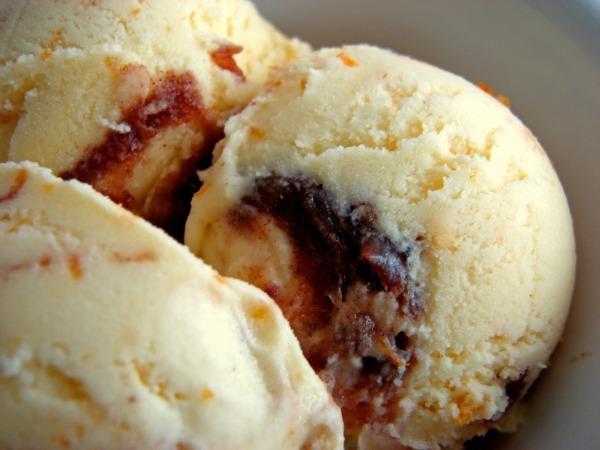 If your family is date lover then Honey and Date Ice Cream will hit in your family. Drizzle honey on top for a gorgeous look. Beat 2 cups of cream until fluffy. Add in honey, chopped dates, raisins and almonds. Dissolve 1 tsp gelatin with some water. In a bowl, mix together cream, dry fruits, Gelatin, condensed milk and vanillas powder. Put it in the air tight jar and freeze it for 4-5 hours or till set.